We chatted up Deep Ellum Brewery owner John Reardon for the low down on this special beer and he said it was the Four Swords quad that has been barrel aged in casks they purchased from Ben Calais over a year ago when Calais winery was still located in Deep Ellum, If you recall, Calais has since moved to their new vineyard in the hill country of Hye, Texas. 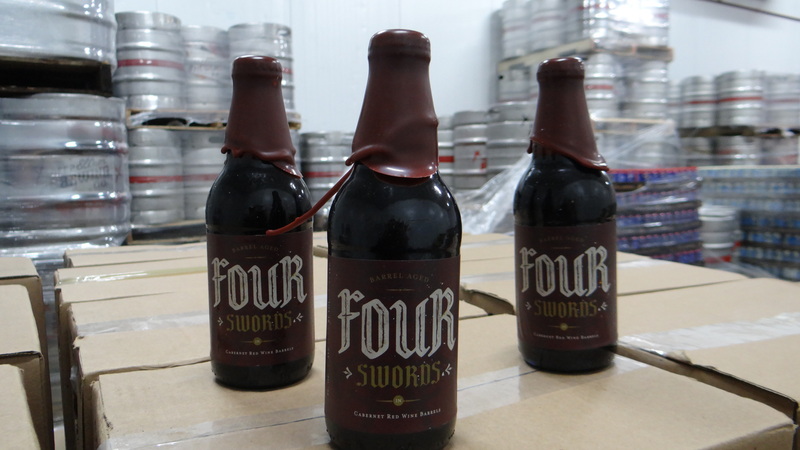 “Four Swords is our big Belgium-style quad that took bronze last year and has been aged in the Calais barrels for a year. To me, it takes on the flavor of Raisinettes, or like a 25 year old port wine that has been chilled, carbonated and a little bit of chocolate thrown in. At least that is what I get, but it actually changes with each sip. 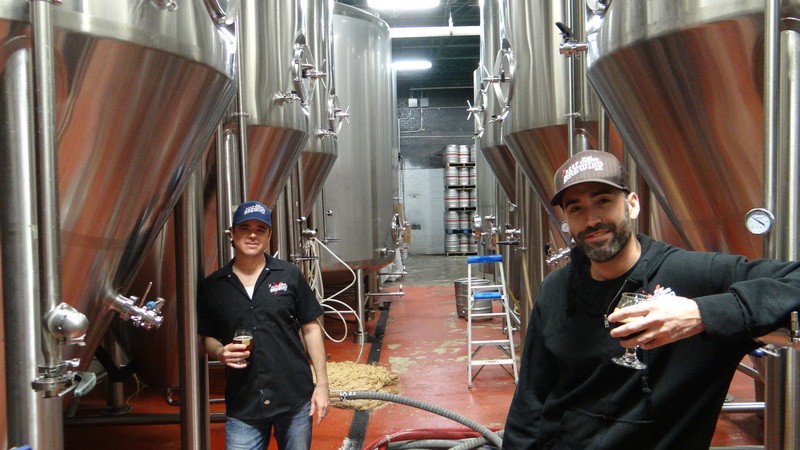 It is a very complex beer,” said Reardon. During the barrel aging they lost more than half of the beer to a devil’s cut, or evaporation and absorption into the barrels. “What makes this barrel-aged so unique is that it is 100% barrel strength; we didn’t blend it with any new beer, which is how brewers can stretch their barrels,” Reardon added. Even more recently Deep Ellum purchased fourteen of the highly coveted Opus One cab barrels, and has plans to use those very soon. Also, Calais has promised a few port barrels that should take Deep Ellum to a whole different level after aged a few years. 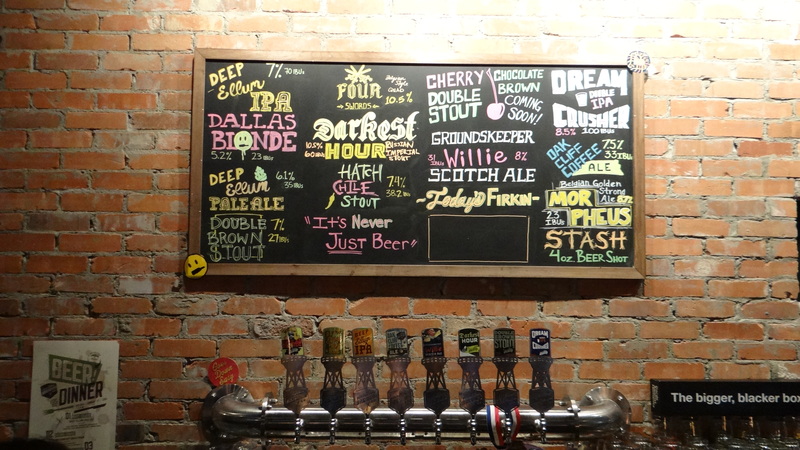 Deep Ellum will also be celebrating Valentine’s Day on February the 13th with a special beer dinner at the brewery. CraveDFW will let you know when those tickets go on sale. 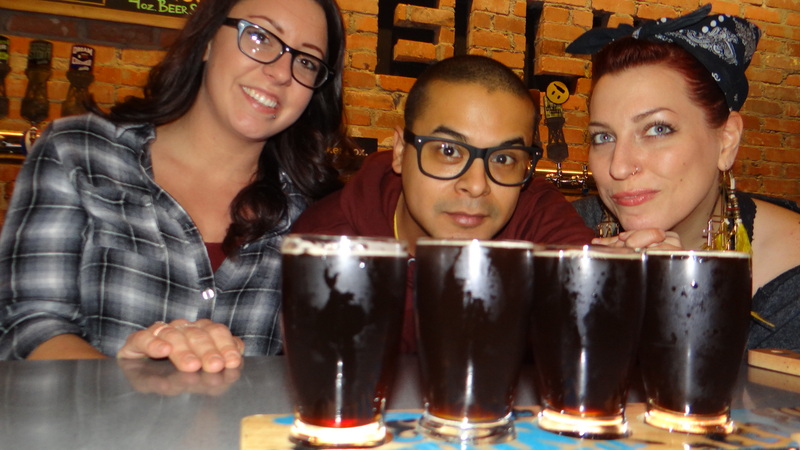 For now, grab a few bottles of the Barrel Aged Four Swords, and check out the new Taproom to say hello to Rocky, AJ and Selena who will be more than pleased to serve you a factory fresh beer.